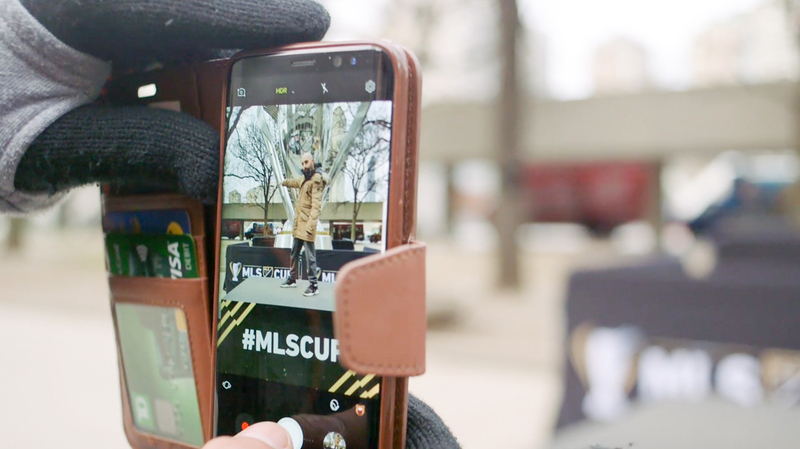 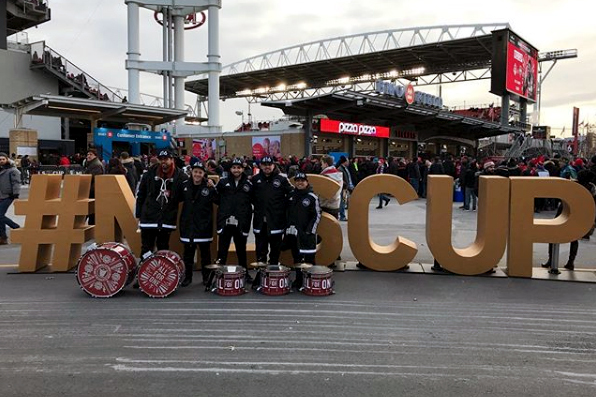 Civitas unleashed numerous fan experiences to blanket all of Toronto for the MLS Cup. 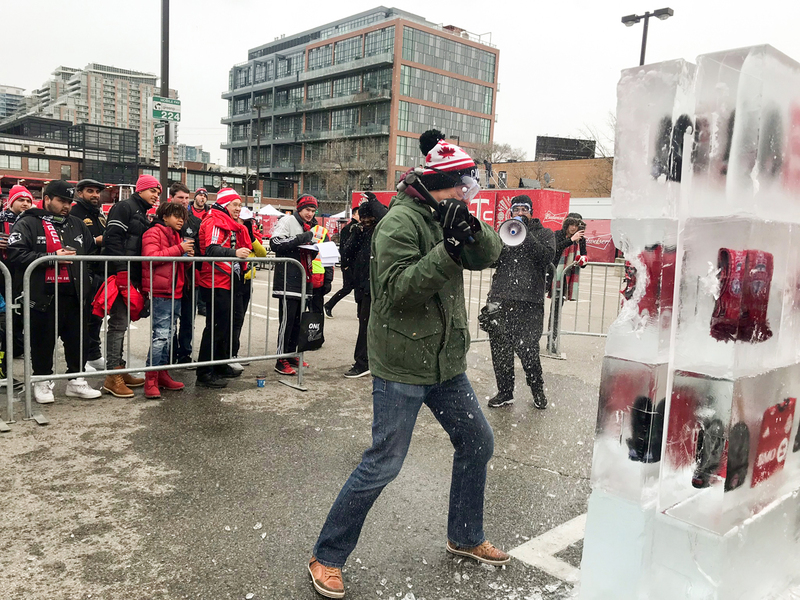 From photo-worthy moments that were constant hits on social media, to unique opportunities for fans to win swag, we got fans pumped for the final game. 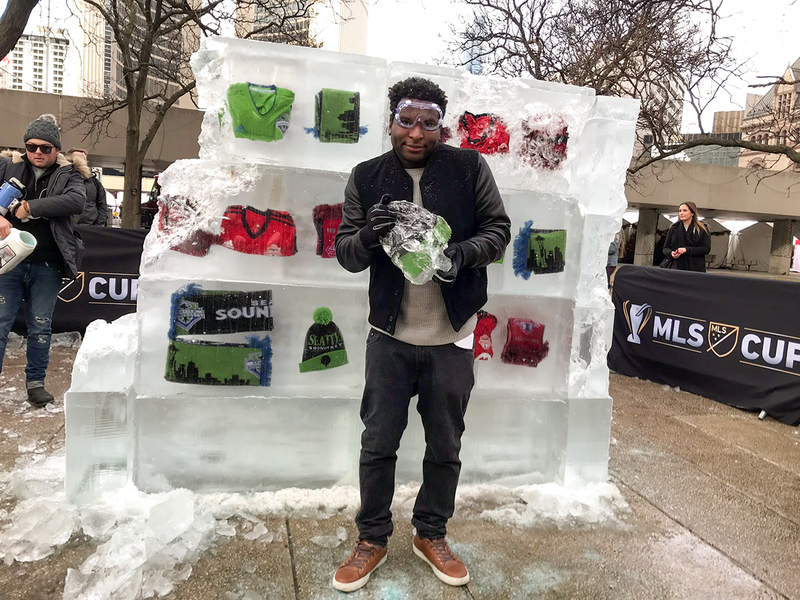 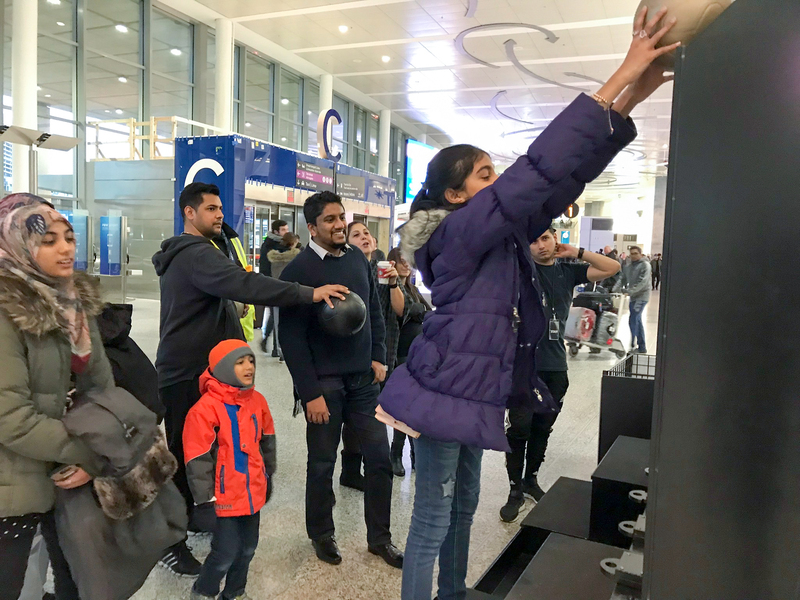 Break the Ice: Each participant was outfitted with safety gear and a mallet before entering the Ice Zone, where they had 30 seconds to chip away at a 10,000lb freestanding ice block in order to reveal authentic Toronto FC and Seattle Sounders prizes. 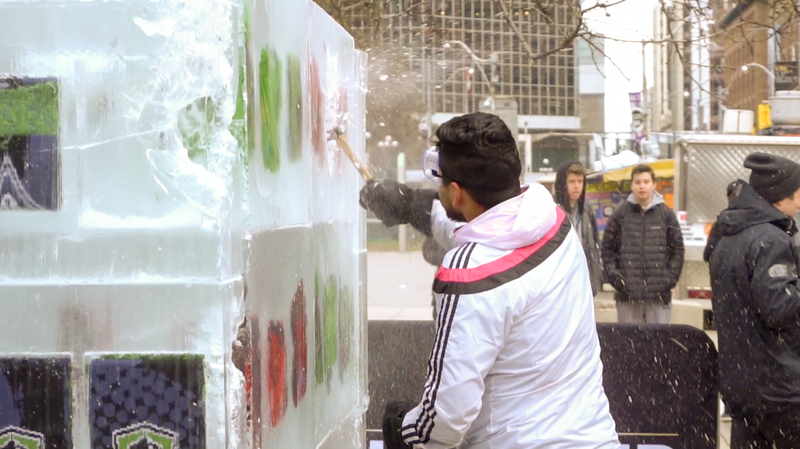 Thousands of people saw Break the Ice with over 220 people participating and over 100 fans winning big! 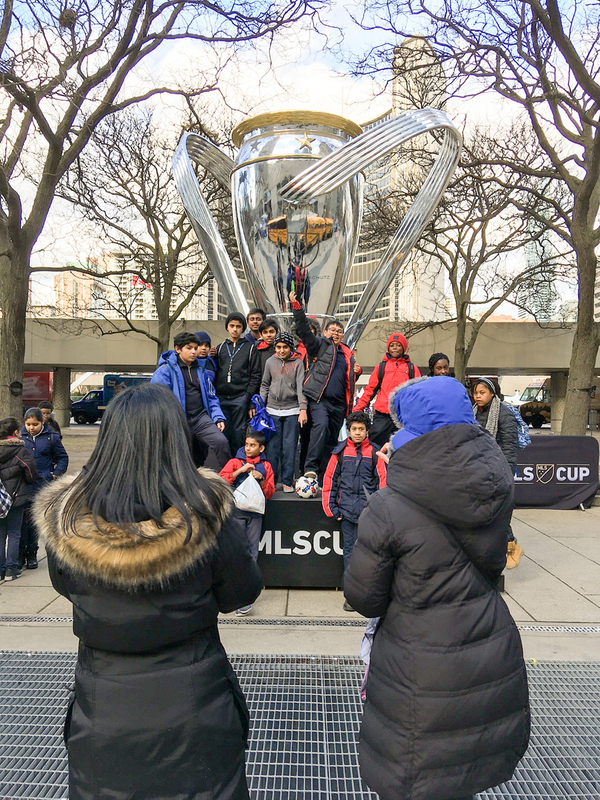 Giant Trophy: Standing a whopping 18 ft tall, this replica trophy was placed in Nathan Phillips Square a week before the match up and served as a focal point for media and fans alike. 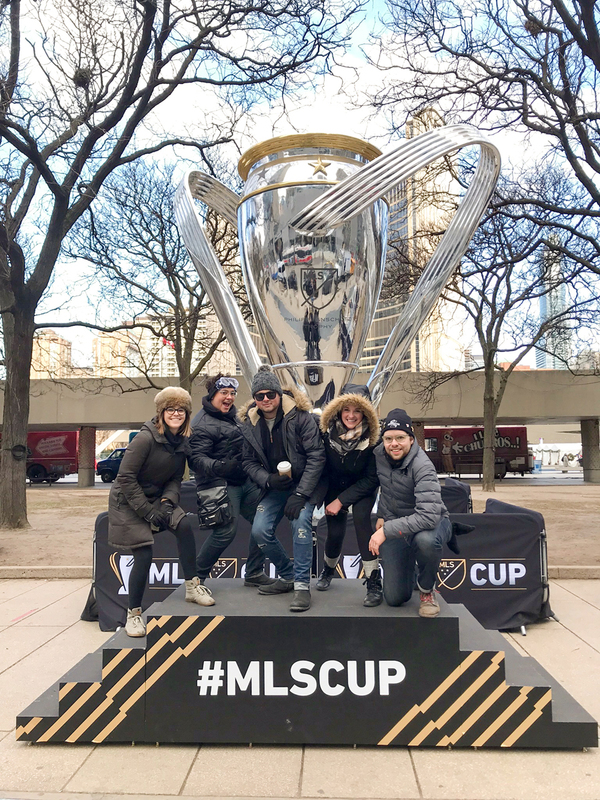 With the addition of an award-style riser, fans were able to get up close for a winning photo opportunity that was a hit on social media. 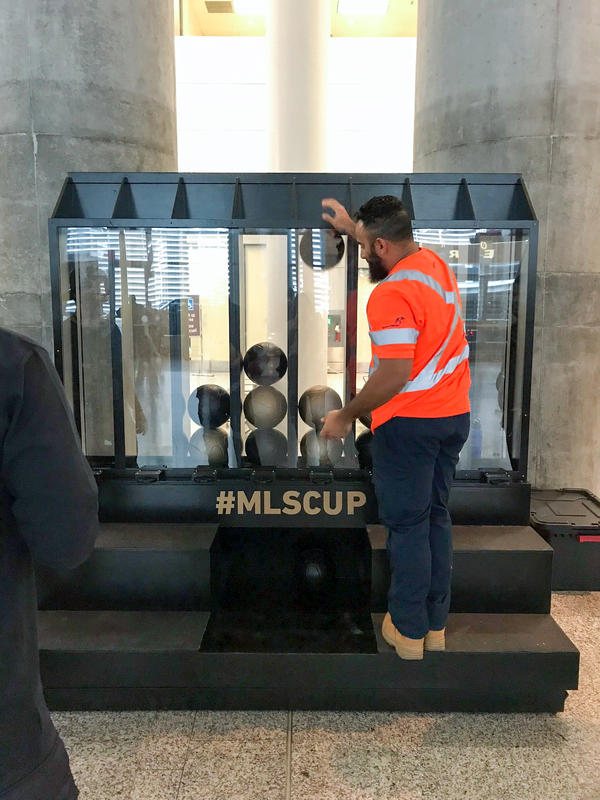 Storefront Kits: vinyl graphic kits promoting the matchup were deployed to rally the residents of Toronto at the community level. 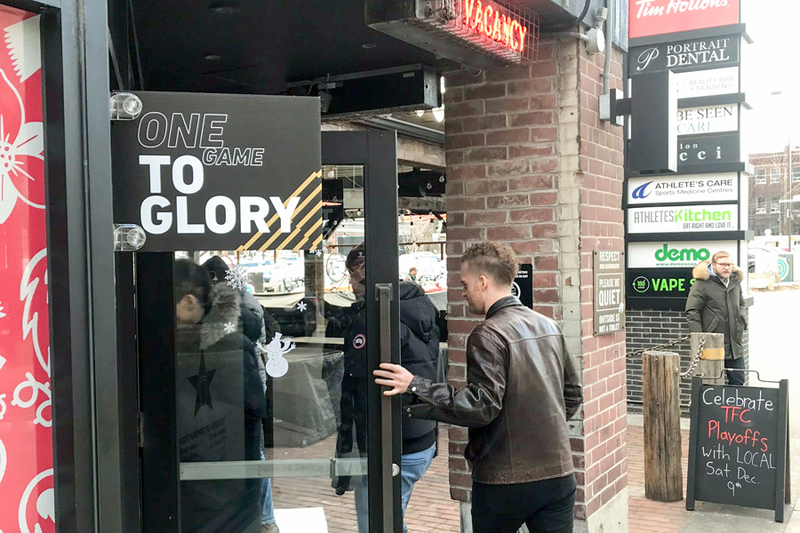 Projecting signs and large window graphics with matchup details were proudly displayed in over 40 stores and support bars across Liberty Village, the city’s main drag of W Queen St and along King St.